This is my first post but I've been a lurker here for awhile. I own a VP9 and a VP9SK and love them but two weeks ago I became the proud owner of a P30SK V1. I was smitten after the first two trips to the range and today was my 3rd trip. The first two trips I had the common problem of shooting left so last night I was on the forums for several hours trying to figure this out. What a great forum this is and I thank all of the contributors to this awesome sight. Today was my best trip ever and I have attached 2 pictures of my targets. Now these were only at 5 yards but I'm very happy with my results and look forward to my next trip. 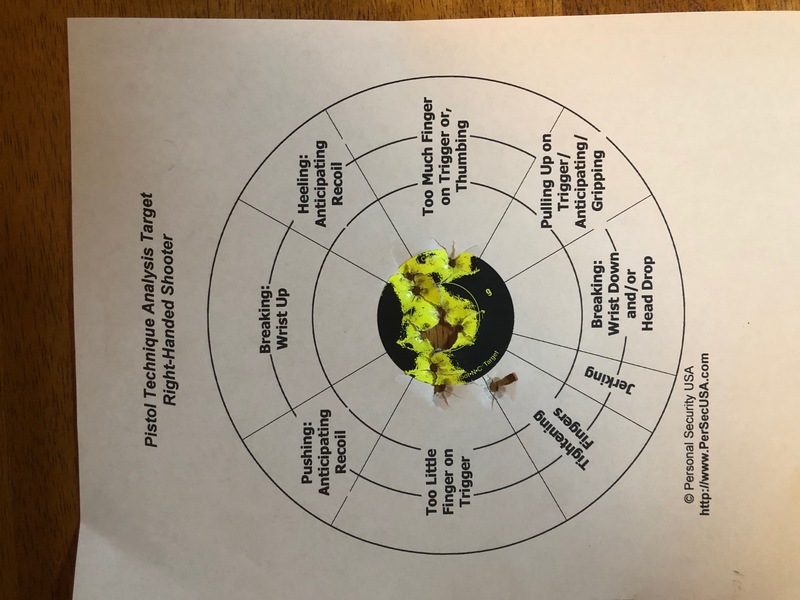 My strategy today was 10 rounds per target, using a target I found on the forum with me attaching a center splatter bullseye. Thanks again to the forum! Heyas Raven! Nice shooting! Congratulations! Some people whine that HK doesn't put things out fast enough -- the same people that whine when something is put out before it's perfect. Some people just like to whine. Nice shooting. Congrats on the P30SK. Very sweet little pistol. I very much prefer it over the VP series. They're a steal for the money. Very nice! 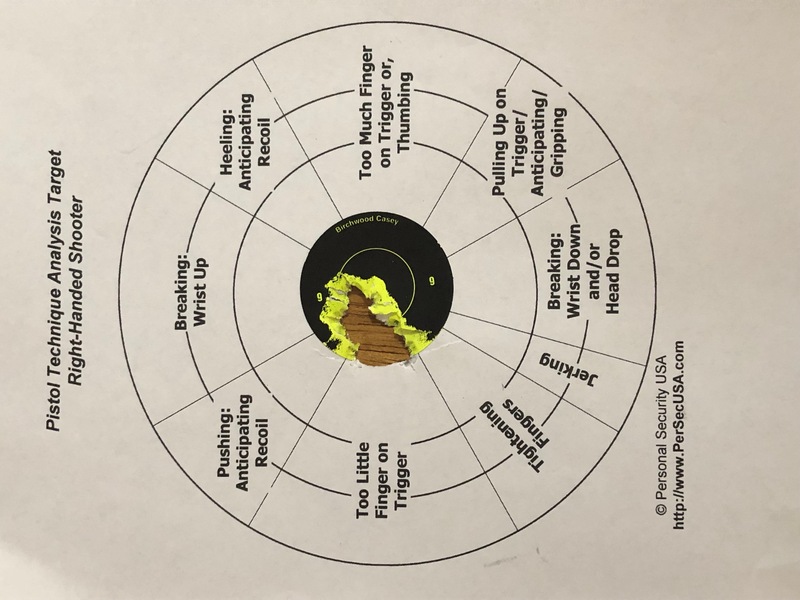 One of the many things I like about the P30 is being able to adjust the side panels to get my finer on the trigger right in the sweet spot without having to think about it. I have small to medium hands so it took my a couple years to realizing putting the large side panels one would give me the finger position I needed. Good shootin' Sir! Looks like you got this figured out! Almost makes you giggle, doesn't it? I know that's the feeling I had after my first range trip with my P30sk v1. Single hole clover leafs with the softest recoil characteristics of any 9mm I've owned or shot. Throw in outstanding ergos with the best "thumb safety" and it is quickly becoming my favorite firearm. Raven+55 and DarkeWolf like this. Raven+55 and awdxtc like this. Welcome to the site, congratulations on the newest acquisition, thanks for the report, and nice placement!! !